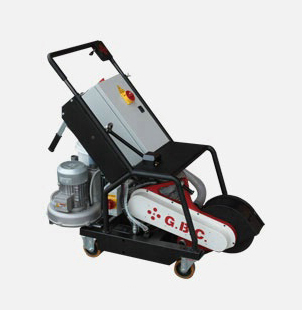 Compact grinder, very light and manoeuvrable machine, designed for back gauging flat plates, equipped with a ø 300 mm grinding disc, easily guidable thanks to a dedicated integrated device for the scope. The unit can also be equipped with an optional vacuum fan for dust and sparks. Optional vacuum fan for dust and sparks available.